Private aircraft and Mexico have a long history. For decades the best way to access much of Mexico was to fly your bird down, or take a boat. Driving down in a four wheel drive vehicle was an option for only the most masocistic. For many years Mexico was the private playgrounds for pilots who dared to fly into a land with no navigational aids, no reliable fuel, and no paved runways. Those were the good ol' days for flying to Mexico and those who were crazy enough to do it had the times of their lives. As you might have guessed Carlos Fiesta is a pilot. He earned his wings in 1976 and has had a passion for flying ever since. And since flying and Mexico seem to be a perfect match, he had to include this section in Cancun Expo. Carlos has enjoyed flying in Mexico by Bonanza, Cessna, Bell Jet Ranger helicopter and Cessna CJ-1 Citation. He has landed in Baja's small dirt strips and on her huge paved runways. It's always an adventure! Flying to Cancun is still a great way to get to the Yucatan Peninsula, and each year more private pilots fly down to experience the spectacular Yucatan Peninsula and Cancun. Although some things have changed, flying to Cancun today is not a whole lot different than it was 50 years ago. Today's pilots do have to follow a few rules, but not many. For starters it is important to file a flight plan with the FAA before departing the United States. After crossing the border all private aircraft must stop at an Airport of Entry to file Mexican Customs and Immigration forms. Obtaining a Tourist Card is an important part of that process. 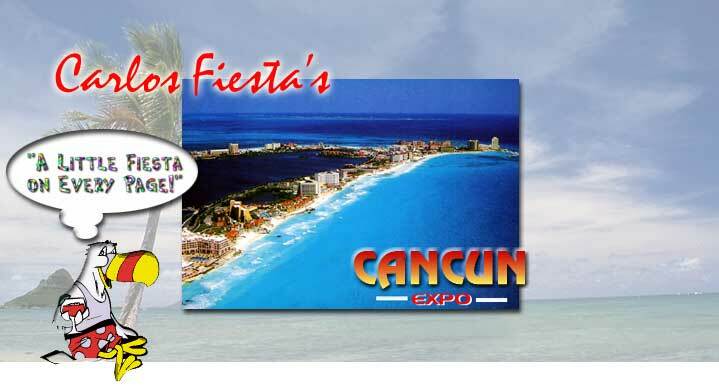 For more information visit the TOURSIT CARD section of Cancun Expo. Half of the fun of flying to Cancun is the journey down. Most pilots fly along the eastern edge of the Mexico mainland. Flying along the coast one can see spectacular empty beaches, deserted islands, rugged terrain, and mile after mile of beautiful coastline. Some pilots plan thier trip down with stops on the way down just to break up the trip and have some fun. Fun places to turn off the mags and enjoy the warmth of Mexico (after checking in at an airport of entry) include Mexico City and Merida. West coast pilots can fly down through Baja and then scoot across the Sea of Cortez to mainland Mexico. Currently pilots returning from Baja and heading for home need to stop and a Mexican Airport of Departure before flying out of Mexican airspace. This law is not particularly efficient, and there are efforts underway by Jack with the Baja Bush Pilots to change this rule. Time will tell if his efforts are successful. Before heading home from Mexico the good folks at US Customs want a head's up before you cross back into the States. Most pilots provide this notice with their flight plan on the way down with the words "Advise Customs" (or AD CUS) on their flight plan. If the time mentioned in the flight plan needs to be modified prior to your actual arrival you must give at least an hours notice to Customs for any changes. Arriving at the US airport of entry Customs Facility on time is important (landing early is asking for trouble, landing more than 15 minutes late is not a good idea). Brown Field near San Diego and Calexico near Mexicali are the most commonly used US airports of entry for west coast pilots. 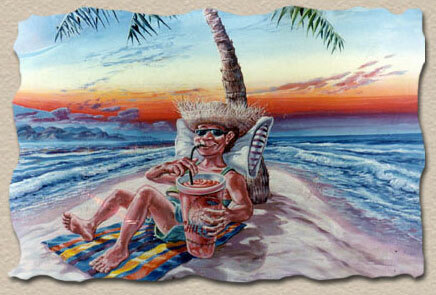 It is an excellent idea to review the web site of the BAJA BUSH PILOTS before flying down to Mexico. Joining the Club is an even better idea. Thier bulletin Board is chocked full of good information on flying into Mexico, and their Airport Guide is an excellent tool to bring along for the flight down. Remember Mexico has strict laws about guns and drugs. Looking for a reason to loose your plane? Bringing guns, ammunition, or even the smallest amount of drugs into Mexico put you at serious risk. Speaking of General Aviation the good folks at BAJA WINGS take their birds down to Baja on a regular basis to help those in need. More information on "God's Air Force" can be obtained from their web site. Want to slip across the border in a private airplane but don't have a plane? SCREAMING AIRLINES is your best bet! Mike flies people to Mexico on a cost-sharing plan that can't be beat. Tell him Carlos Fiesta sent you and he'll give you a free cervesa! And it's always fun to check out the web site from the good folks at A.O.P.A. to see what's new in general aviation! For aviation insurance for flying into Mexico try a quote from the Mexico experts at MACAFEE AND EDWARDS (800) 334-7950. They can fax you a policy the same day you call in.